Medical professionals say that, like burns, spinal cord injuries and other types of severe injuries, TBIs are catastrophic in nature but differ from other injuries in that they can upset a person’s life on many levels. Not only is there the underlying physical injury, but TBIs result in psychological, social and even spiritual issues. TBI affects the basis of who we are — our ability to think, to communicate, and to connect with other people. For approximately 85 percent of people with TBI, those problems eventually resolve, but the remaining 15 percent have lingering effects and problems. If you’re dealing with residual symptoms of a TBI, or if you’re caring for a loved one, it can help to understand more about the wide range of challenges that TBI can pose. A mere tap on the head and anything can go wrong. Light taps — mild TBI — can result in daily headaches, agitated moods, or periods of sleeplessness. Stronger jolts may cause you to forget your name, or make you think you’re someone different. When you tell someone you’re sad, you may unintentionally yell. A TBI can introduce a frustrating amount of confusion and uncertainty into your life. If you have been involved in an accident that resulted in a TBI of spinal column injury, the injury and necessary treatment can be significant and confusing. What rights and benefits you may be entitled to can be equally confusing. You need the advice and counsel of an attorney that has experience with TBI and spinal injuries, is aggressive and not afraid to fight with the insurance company to secure everything you deserve. Dan Newlin Injury Attorneys are such attorneys. 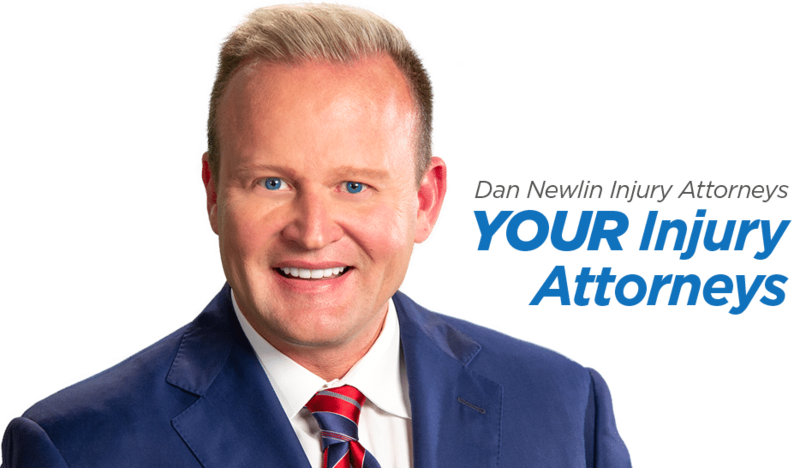 Call Dan Newlin Injury Attorneys for a free consultation and learn about the complex area of the law surrounding TBI and spine injuries. Insurance companies have attorneys whose job is to give you as little as possible to settle your injury claim. You need an attorney by your side to help you receive all you are entitled to compensate you for your medical bills, pain, and suffering. Please call Dan Newlin Injury Attorneys right away at 800-257-1822. You will be glad you did.